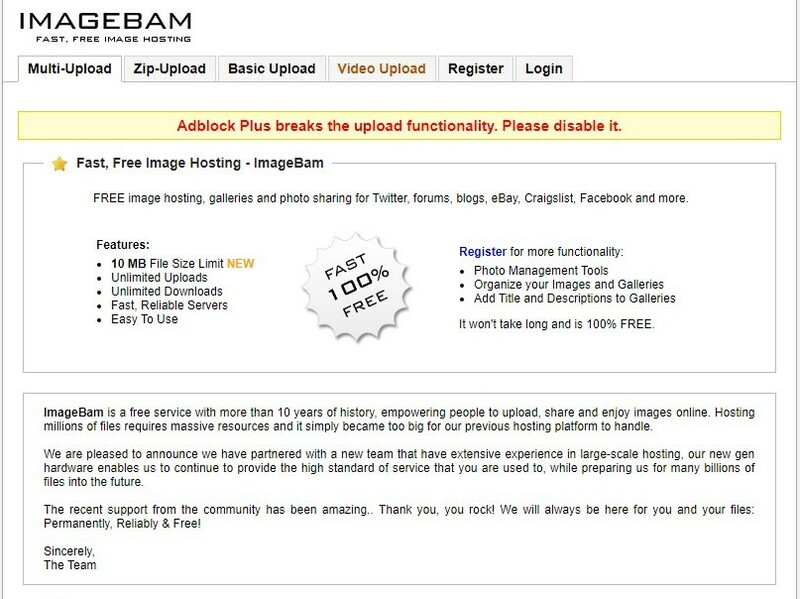 Since Imagebox.com and imagebam.com are going to shout down, you are probably wondering how you can save your posts from getting obsolete and your pics from getting lost. The logical thing would be to just download them and reupload them to a new image hoster. But since you probably don’t have the time do download pic by pic, I bring you an alternative. Unfortunately it’s not that simple to run nowadays since firefox forces there app creators to licence their apps with a expensive signature. The creators of IHG decided against it, so it’s not that easy to download anymore. Don’t get me wrong, it’s not illegal to use it, nor is it harmful. I am using it for the past 6 years and I am very happy with it. For anyone who’s interested, I will give a tutorial on how to use it step by step. If you want, you can share the information in the topics, so anyone can see it. 1. Since Firefox is such a trouble maker you should get the firefox based Browser Pale Moon. 2. Now in your Palemoon got to the IHG Forum and download the Program itself. Now go to the host File tab and make sure “Enabel automatic update” is checked. (optional) you can click on the File Saving Options tab and change the way files get renamed. On default it will rename the image with a number in front regarding the position of it on the page. Meaning the order is intakt. If you don’t want that just uncheck it then it gets the original File name. But be warned, this could lead to chaos in your folders. 4. Now it’s time to use it. Set a download folder and press confirm you want to update the hoste file by hitting ok. (you only have to do this once) hit ok again and watch the magic work. Once you did everything correctly you should see every pic in your destination folder. 5. Now here comes the best part. Of course downloading one page at a time is amazing but we can do better. You need to have seen at least to pages of this threat for it to work. Decide the first and last page you want IHG to download and hit ok. This might take a while and your Pale moon might freez a couple of moments. Don’t panic this is normal. And as you can see every image is in place. But keep in mind that IHG will download each and every image on a page you select. So peoples Avatars, signatures or just plane stupid Memes are going to be ripped as well. You can change that by setting the minimal image size 20 (as shown in point 3) but this will not always work. 6. Now it’s on you. Backup your images, and hopefully reupload them to a new imagehosting website. And edit your old posts to show the new links, or post them again. IHG technically works for every website that uses Images. Facebook, Instagram, Gettyimages and even your daily news website, as long if the images are legaly obtainable. So No, you can’t get the untagged Gettyimages files withit. If any site is not compatible you can always ask in the https://imagehostgrabber.com/forum if someone can make it work. They are very nice and helpful people. As A short note, please don’t change the Max simulations http request to anything higher than 5. This already puts a heavy stress on any site you are using it on, so please don’t overdo it. I have IHG since years but it does not seem to work for imageBox or Bam anymore. Oh and is palemoon a big file? What's its use? Yes this should work. You should be able to simply install it. The developers changed their update links a couple of months ago, so your IHG simple doesn’t know what to do with the links. The new host file should help. Palemoon is a browser like firefox ore chrome. It looks like firefox and can run IHG without problems. can we use actually to grab images from bellazon or for example from Imagebam and/or other imagehosters ? is useless! it does what it wants (for example, it creates .zip archives on its own.) Can not be set properly and much more. there has to be a better tool! .zip are fine for me and it also grabs the HQ pictures from web site. yes it also grab useless things but it takes 5 seconds to delete them. Have uninstalled FF Quantum on one of my PC's and have reinstalled FF 56.0.2. Now I can use again Imagehostgrabber for forums like BZ.